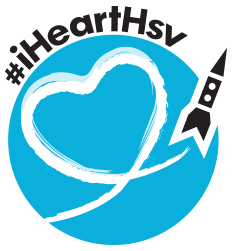 Huntsville’s mayor recently unveiled a new logo and related slogan for the city that have been the subject of some discussion, both locally and statewide. The old logo had a bit more detail, but, let’s face it, had typography that looked like it was designed by a middle-schooler who thought it would be fun to play with fonts. “Ooooh, look, future-y.” (Since “Star Trek” is the easiest stand-in for “future.”) Also, with the shuttle’s upcoming retirement, the logo was about to get really dated really quickly. Anyway, some like the star; some don’t. Some find it too simple; some like that it’s very clean. The new slogan, on the other hand, is being seen as an insult to the rest of the state — it’s arguably Huntsville touting ourselves as the highlight of Alabama. My first time in the audience of an improv show in a long time, and my first time seeing the new show format. These guys aren’t bad. –I’m going to be in an improv show Saturday night at Kenny Mango’s in Madison. I doubt this piece of information being presented here does anyone any good, but there you go regardless. If you’re reading this here, and haven’t seen it elsewhere, and live in the area, come see us. –I’ve added a Twitter update box to the sidebar. ‘Cause, hey, why not? I’m sort of right on the Twitter cusp. I use it a fair bit, but tell myself that I’m not as serious about it as some other people I could name. –We made it successfully through our first official weekend of counseling last week. The future father-in-law seemed pleased with the nine-or-so pages I wrote about the roles and responsilibities of husbands and wives in marriage. I also did an individual session with someone associated his the FFIL’s church (I think) while I was there because, if the internet is to be believed, I have issues. 🙂 The individual session was very beneficial in addressing some unfinished business from the past, and the marriage counseling seemed to evidence that we are moving in the right direction. –Battlestar Galactica is over, and I got to watch the finale with friends in Jackson, which was quite cool. With BSG wrapped, Lost is the only show I’m still watching. Another year and change of that, and I plan to be done; I have no plans to start new shows in the meantime. After all, I don’t really want to watch Caprica, do I? –Nope, no update on a wedding, so don’t ask. Nyah! Susanna asked me to get this song when we re-synced her iPod so she wouldn’t lose it, and it’s been stuck in my head ever since. Just kinda catchy. OK, this is one of those areas where I’m uncertain about the line between the two blogs. This post is space-related, so perhaps it should go on All These Worlds, but it feels more like it belongs here. Right now, the space shuttle Discovery is in orbit with its STS-119 crew, which includes, among others, two former classroom teachers who were selected as astronauts in 2004, Ricky Arnold and Joe Acaba. Joe is the member of the crew with whom I’ve interacted the most; we’ve had the opportunity to talk two or three times. 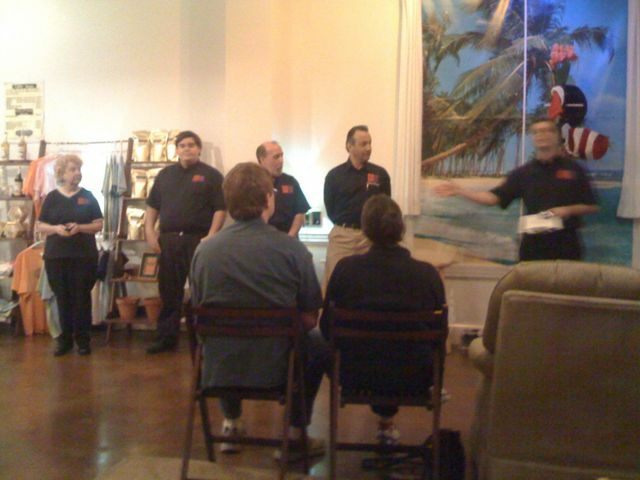 I first met Joe the year he was selected, before he was even an official astronaut, if I recall correctly. The new class was touring the various NASA centers to learn more about what goes on where, and Marshall hosted a fish fry so that folks here could meet the new astronaut candidates. The social time was rather amusing, in a way. After each space shuttle or station mission, the crews go around and visit the centers and share about their flights. When they do, they’re celebrities — people line up for autographs, and you have to be lucky or somebody to actually have a conversation with them. At the fish fry, the ASCANs were very much not celebrities yet; they were wandering around, looking for people to talk to. If you and a coworker talked to each other long enough, an astronaut candidate would come try to join the conversation. Very funny, and so not what things will be like for them when they come back here after STS-119. Anyway, Joe really impressed me that night. I ended up sitting next to him at a table we shared with a couple and their young son. During the conversation, the son got bored, and decided that he needed to show off his new trick — tying his shoes. So, of course, he has to share this skill with the astronaut. He walks over to Joe, and tells him to time him tie his shoes in five seconds. Joe got out of his chair and watched the boy, and counted out to five as the boy tied. And, as Joe counted ever … so … slowly to five, the child was, in fact, able to tie his shoes in five seconds. And I knew then that astronaut Joe Acaba was probably going to do OK.
As part of marriage counseling this weekend, I’m having to put together statements on the roles of husbands and wives in marriage. What one or two items do you think would be most important to include? What would be your greatest bit of insight in this area? OK, I need help and or advice. I have, over the years, collected a handful of old computers that, really, you know, I just don’t need. An old Mac Plus. An early PowerMac Performa. A stripped-down Lombard G3. Etc. I really hate the idea of just putting them in my trash can, but I really don’t know what to do with them. Anybody want them, or know what I can do with them?